Joseph De Veuster was an ordinary boy growing up in Belgium, planning to take over the family farm as he grew older, until he was called to a new vocation-the life of a priest. 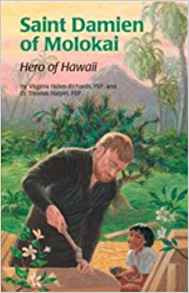 Joseph became Father Damien and was sent as a missionary to Hawaii and, eventually, to Molokai to become a priest for those suffering from leprosy. SERIES: The Encounter the Saints series offers intermediate readers down-to-earth portrayals of the saints. Each story vividly recreates for the reader the saint's place of origin, family life, and corresponding historical events.